Hi, welcome to my website. My name is Adam Noah. Currently, I am a research faculty member of the Brain Function Laboratory at the Yale School of Medicine. I am experienced in computational systems and methods of brain imaging and application of traditional video games to clinical and basic neuroscience research. My background in patient care and rehabilitation via the use of virtual reality interventions contributes a significant segment to the lab and its future directions. 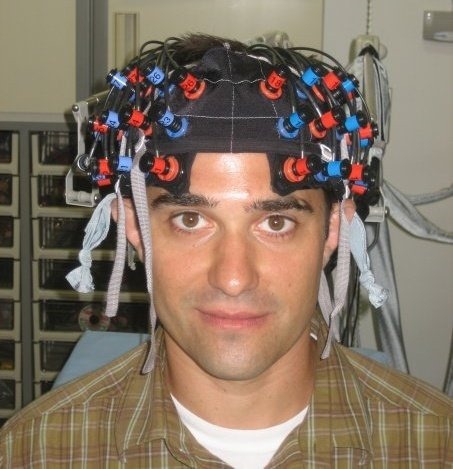 I am experienced in recording and data analysis techniques associated with functional near-infrared spectroscopy (fNIRS). My focus in the lab extends his previous interests and expertise using functional brain recording techniques combined with video games as tools to understand mechanisms of motor control, decision-making and cognitive function. Previously to my current post, I was a post doctoral fellow working at the University of Alberta, in Edmonton, Alberta, Canada. My research focused on motor control. I was working on two projects. The goal of the first project was to determine if the neural network controlling respiration is affected by locomotory behavior in human infants under 12 months of age. This project was funded through a NRSA fellowship from The National Institute of Child Health and Human Development (NICHD). I am still also working on a larger project to characterize crawling in infants. This project is a collaboration between my advisor, Jaynie Yang, Susan Patrick, and myself. Before I was living in Canada, I lived, went to school, worked and generally spent most of my time in West Virginia. For those of you that haven’t been to that part of the world, no its not near Richmond or Virginia Beach. West Virginia is a beautiful state just West of Virginia. I attended Marshall University for both my Master’s Degree and my PhD. For my doctorate, I worked with Sasha Zill at the School of Medicine studying the role of load detecting sense organs in generation of locomotion in insects. More information on this and my other research is available here. I will update this website periodically, as I feel the need. There is also links above to my animations, some photos, my webcam and some of the things I do in my spare time. If you would like to contact me please email me at adam@adamnoah.me.